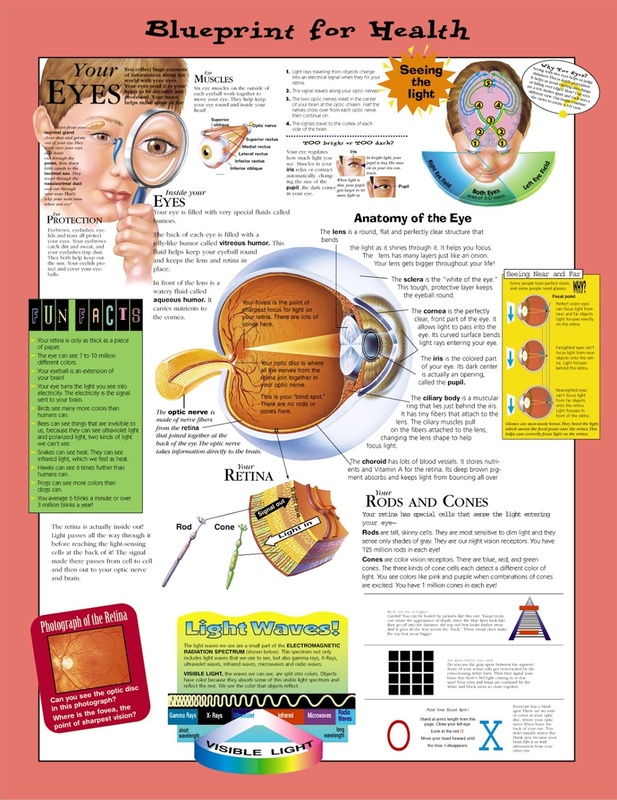 An ideal aid to educating pediatric patients, this chart shows the anatomy of the eye and how the muscles work together to move the eyes and dilate the pupil. Colorful, anatomically correct illustrations demonstrate how we see--including details on the electromagnetic radiation spectrum--and show nearsighted and farsighted eyes. 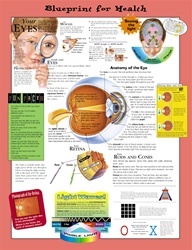 The chart includes tips for healthy eyes, fun facts ("Your eyes can see 7 to 10 million different colors"), and fun things to do to illustrate the magic of vision--and how your eyes can fool you!